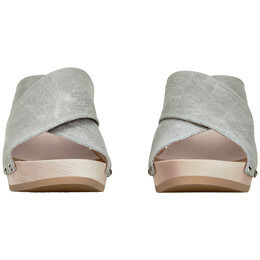 Do you want a fashionable sandal on a high wooden sole? When you buy a Sanita Wilma, you get a high heeled sandal made in the best quality of the market. 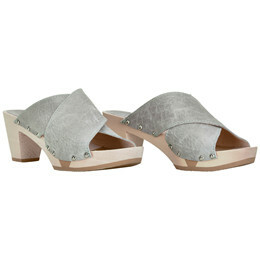 This sandal is designed in light grey embossed suede with crossing leather over the instep and with deco nails on the side. The upper is clamped on a light high heeled sole of lime tree to give a more modern look.